Krka Mayfly Fly fishing Lodge sits perched on a hilltop above the Krka River, in the heart of the Lower Carniola region, south eastern Slovenia. Located at rural countryside - far from the bustle of urban life, and right in the middle of breath-taking landscapes. The Krka is characterized by a riverbed sunk into the soft limestone terrain of the Lower Carniola Hills. Waters spilling from one pool into the other, across tufa deposits cascades overgrown with green moss, which provide ample shelter to fish. River Krka is a waterway renowned for its chalk stream Trout and Huchen fishing. 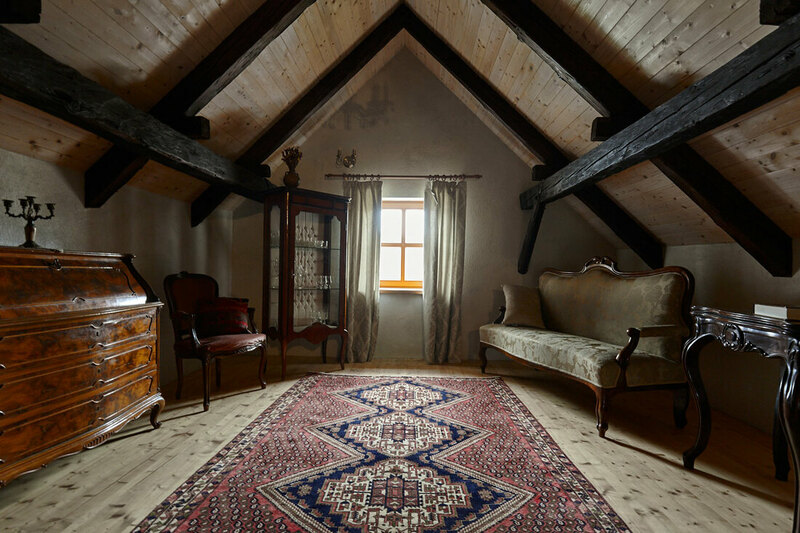 During recent eco-renovations, the historic beauty of the stone house, founded in 1885, was preserved to maintain the rustic ambiance of the rural countryside with all the luxury of modern times. The Eco-lodge offers a private getaway of rural charm for our guests to enjoy. You will find intact nature, peacefulness of rural environment, local food, cosy rooms and relaxing atmosphere - escape in ancient times. 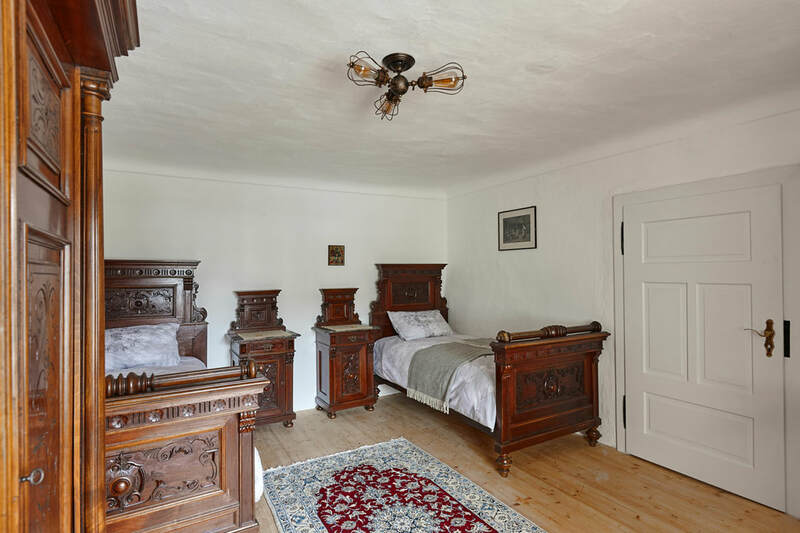 The ground floor treats you with two double rooms furnished with antique furniture, terracotta tiled hallways and bathroom, while in the chalet styled attic two single rooms and an antique style open lounge area await you. Perfect starting point for Fly fishing, Huchen fishing or off the beaten track outdoor adventure! 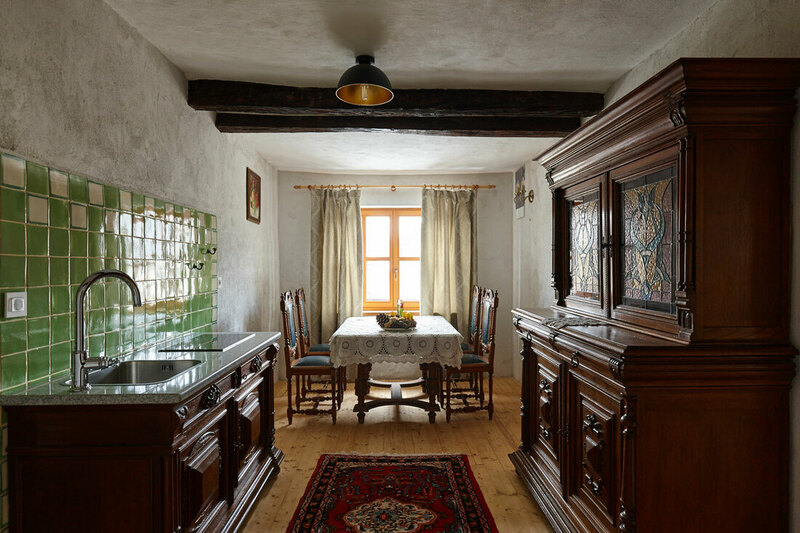 Your host will take care of every detail, with a solely mission to provide first class Slovenia fishing or outdoor adventures for smaller groups, let it be family and friends, creating memories to last a lifetime. We believe that the only way to ensure customers' safety, satisfaction and success is for the owners to be present and hands-on in absolutely every aspect of the adventure - that is our key and a promise. Nights boarding with delicious organic breakfast starts at €60 per person. Lower prices apply for Go Fly Fishing guided guests!